Have you ever looked at a mask and wondered What can I do with that. Are you bored with the same old inking techniques. 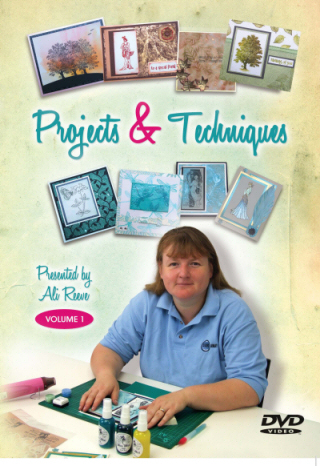 Do you want to stretch your crafting wings.Then join Ali in Marv Masks Two. DVD containing over 1000 hi-res DVD papers and 150 hi-res JPG (to use in your graphic packages). Works on PC and Mac, navigate around the DVD through our easy to use HTML navigation pages. 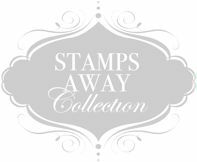 Let Ali show you ways to craft with your inks, micas, embossing powders and stamps, and even a bit of clingfilm. 8 Projects shown from start to finish, and plenty of techniques. Running Time 96mins. Ali introduces you to a variety of techniques from faux Laser Cutting and Wet Stamping to making your own glazed tiles and embellishments and all sorts in between. Running Time 113mins. Join Ali for 92 minutes of techniques for decorating your MDF and card products, includes a texture mask to get you started. Covers rusting, painting, surface effects etc. 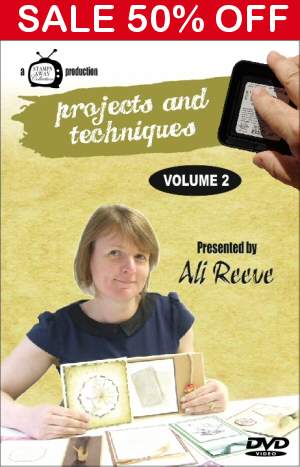 Join Ali for 127 minutes of painting technique to enhance your MDF, DVD takes you through many different techniques including shabby Chic, Distressing, Texture and more, 5 sections and a gallery.